It is a dignified planet and is a significator of children. Also generosity, educational interest, law, religious preceptor, philosophy, banks, companies, in foreign lands, quick, sociable. Air travels, long journeys and residence in foreign land, occult science, law abiding, honest, truthful, sincere and dutiful, medicine, jubilation, respect, fame, reputation, philosophic, natural peace, prosperity, inheritance, charitable, educational and religious institutions, speculation, gain through legacies and prosperity, adventure, enterprise, good marital order, good fortune, wealth, beauty, witty, sound judgement, flexible mind, popular and gain through families and public. Providential help, pilgrimage, finance and fortune, broad outlook, sympathetic, promotion, gain in business, political power (aspected by SUN). Winner in law suits, Government favour, power and rank, contact with foreigner, publishing of books, social prestige, jovial, lucky, partners in business (aspected by Venus) strong sense of Justice and fare means earnings. A chief Governor of production and expansion. When it is afflicted, it signifies extremist, liberal, lavish, extravagant, careless, over optimistic, disputes, gambling, vain pomps and show, misjudgement, misfortune, poverty, ingratitude danger of death by fever and much excitement, improvidence, law suits, disagreements, frivolous, contentions, and unpopular. It denotes TOPAZ, metals are gold, tin, and platinum. 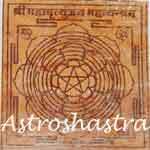 It governs Punarvasu, Vaisakha and Poorva bhadra constellations, and dasa period is 16 years. Colours represented are green or purple, violet or mixture of red and indigo. Body parts controlled by Jupiter are kidney, thigh, flesh, arterial system, blood, feet, fat, liver and right ear. The diseases indicated are Jaundice^ liver complaints, vertigo, laziness. General lassitude, chronicity of disease, sleeping sickness, fat in body, 'carbuncles, flatulence, dyspepsia, hernia, anaemias, piles, apoplexy, diabetes, tumors, phlegmatic disposition, chronic skin troubles, catarrh and cerebral congestion.